Spring is here. The season for hay fever, florals and starting afresh. Oh, and selling your house. Because indeed spring is often thought to be the season for planting that For Sale sign outside your home. The only problem is that other people may have the same idea. To be successful in Australia’s competitive house market you have to stand out. So to help you on your way here are our pointers for getting the best price for your home… whenever you choose to sell. 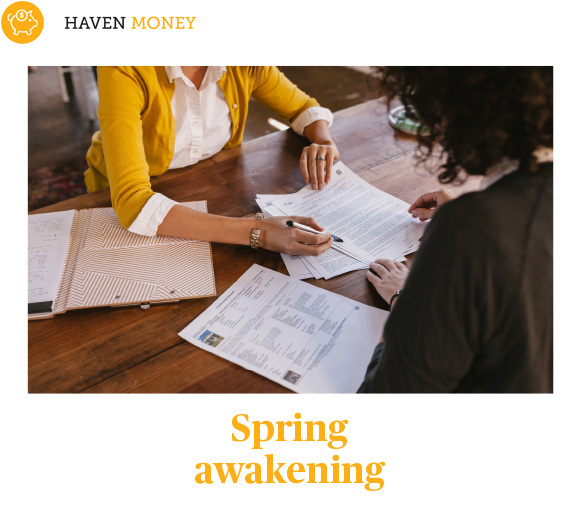 Conventional wisdom suggests that spring is the right time to sell your property, and it does make sense â the sun has made a reappearance, making for a more optimistic mood and the likelihood that your home is in turn looking its best. But spring might not be the most obvious time to sell. Consider factors specific to your home. For example, do you live in a beachside suburb which means that come warmer weather your street is packed with cars on a weekend? Does your suburb attract a lot of tourists? Does your front lawn get parched in the warmer months, but receive great sunlight and the perfect amount of water during winter? Selling in the off season can also mean less competition with buyers more likely to view your property. The thing about the property market is that there will always be people that will need to sell or buy a house, at any time of the year. So it’s worth keeping that in mind when preparing to list your property. Thoroughly researching the market that you are selling your home in is crucial before getting a professional evaluation. Keep a close eye on property websites for sales in your area and advertisements for properties to get a clear picture of what your home is worth. Here’s the fun bit: make like a buyer and attend auctions in your neighbourhood (the added bonus is getting to sticky beak your neighbours’ homes) and ask the agents questions about why the owner is selling and if the price is negotiable for a realistic insight into whether you are being over or under quoted for your home. Just like finding the right, say, hairdresser, it’s important to find a real estate agent that fits with you. The wrong one – be it through inexperience or having different values and expectations – can be a costly exercise. Ensure you know your agent, and donât hesitate to check out their sales histories and credentials. Likewise, make sure your agent knows their stuff, including a detailed knowledge of comparable sales in your area. Remember that while it is important that your agent is personable and comfortable to be around, it’s easy to fall for someone with good chat – they need to have the goods to back it up. And once your agent is on board try and take a step back, as David and Libby Koch point out in an article for News1, be wary of getting too emotionally invested and subjective when selling your own home. You are selling it because you no longer want or need to live there. Don’t underestimate the power of sprucing up your place when you are putting it on the market. This goes beyond having fresh flowers on the table (and in fact, fresh flowers might just trigger an allergy or memory so may not be suitable). Again, it’s important to think like a buyer. This includes de-personalising your home – from removing family photos to coating the house with a lick of white paint and using neutral fabrics wherever possible. Potential buyers need to be able to imagine themselves living there, which is hard to do when it looks like somebody already does. Also, the little details matter when you want to sell your house. You’re going to need to fix all the niggling problems your home has â including washing the windows, fixing the taps, mowing the lawn and trimming back shrubbery, and attending to often-overlooked little things such as cleaning the fronts of grubby power sockets. You may even consider hiring a professional stylist to help showcase your home at its most beautiful, and widely appealing.